Well, since I was talking about grown men wearing bold Halloween costumes, earlier this week... how could I not share this picture of this one? 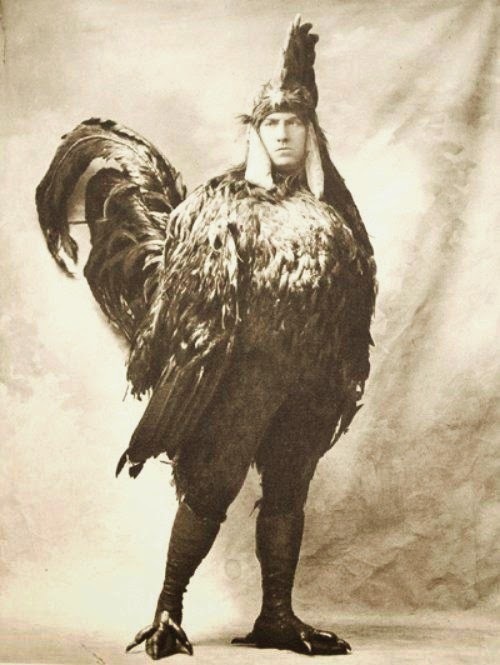 The grown man in his Rooster suit. OH MY GOSH, THIS IS PRICELESS!!!!! !